China is modestly expanding the size of its naval delegation to the world’s largest maritime exercise. 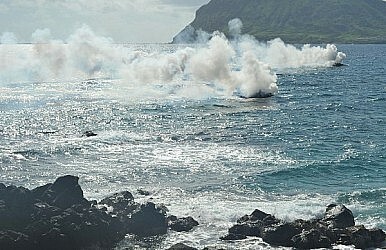 The Rim of the Pacific (RIMPAC) exercise is set to begin at the end of this month. The U.S.-led and hosted event is the world’s largest naval exercise, with the 2016 edition involving “45 ships, five submarines, more than 200 aircraft and 25,000 personnel.” The exercise will take place near the Hawaiian islands and off the coast of California, and will last from June 30 to August 4, 2016. RIMPAC takes place every two years. As navies from across the world set sail for the opening of the exercise, regional analysts will be giving particular attention to the participation of China’s People’s Liberation Army Navy (PLAN) this year. RIMPAC 2016 will mark the PLAN’s second invitation to these exercise–the Chinese Navy participated in the 2014 iteration of the exercise for the first time ever. China’s entry into RIMPAC came as military-to-military ties between the United States and China have seen rising tensions due to Beijing’s actions in the East and South China Seas. China is modestly expanding its naval delegation to RIMPAC this year. According to Chinese state media, the PLAN has dispatched a delegation of five ships for this year’s exercises, including a submarine rescue vessel for the first time. More specifically, the PLAN is sending an Anwei-class hospital ship, the Daishandao (or Peace Ark); a Fusu-class replenishment ship, the Gaoyao Hu; a Dalao-class submarine rescue ship, the Changdao; and two surface combatant ships, including the Luyang II-class guided-missile destroyer Xian and Jiangkai II-class guided-missile frigate Hengshui. Of these vessels, only the Daishandao will be a returning participant. As my colleague Shannon Tiezzi discussed at the time, China sent “the Haikou (a missile destroyer), the Yueyang (a missile frigate), the Qiandaohu (a supply ship), and the Peace Ark (a hospital ship)” to RIMPAC 2014. China is additionally modestly expanding the number of officers and sailors participating in RIMPAC 2016. For RIMPAC 2016, the PLAN is sending 1,200 officers and sailors. RIMPAC 2014 saw a similarly sized delegation of 1,100 participating personnel. In addition to the five ships participating this year, China is also sending a diving and a marine squad. Besides the United States and China, this year’s RIMPAC will include naval delegations from Australia, Brazil, Brunei, Canada, Chile, Colombia, Denmark, France, Germany, India, Indonesia, Italy, Japan, Malaysia, Mexico, the Netherlands, New Zealand, Norway, Peru, the Republic of Korea, the Republic of the Philippines, Singapore, Thailand, Tonga, and the United Kingdom, for a total of 27 participating nations. For the first time ever, this year’s RIMPAC, with the theme of “Capable, Adaptive, Partners,” will include submarine rescue exercises in addition to command and control-focused drills.